Note the veil of frizz on my hair due to the humidity. Delightful. P.S. I almost always answer your comment questions directly via email, but in the past few weeks with traveling I have been unable. Please don't be discouraged from doing so. Always love hearing from you! Love this outfit--looks easy, comfortable, but very "together". I absolutely LOVE it Anna and absolutely agree, perfect day to night outfit, gorgeous! that top is so pretty!! 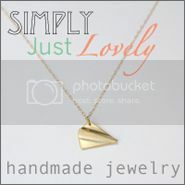 and love the yellow necklace! Love this look. Casual but so pretty! 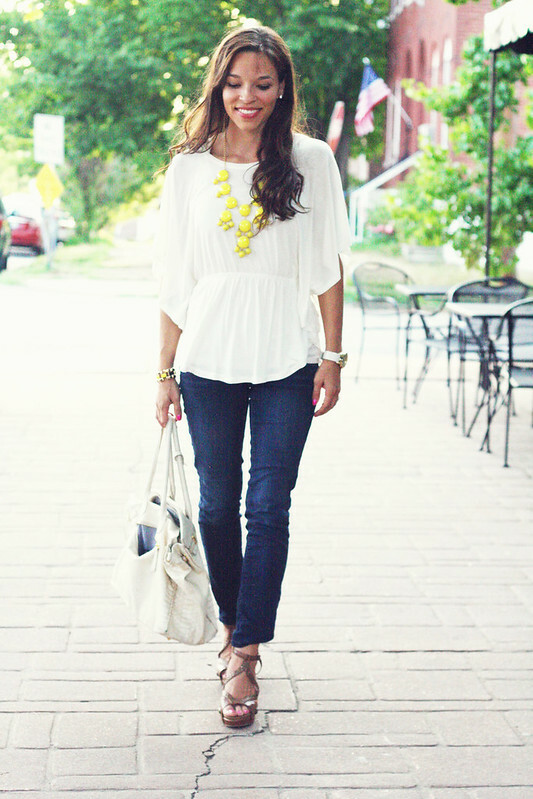 This is a great look--dressed up but still light and airy for summer! I hope you had fun eating at the Hill--yummm! LOVING this look, and that necklace I LOVE everytime. So pretty! So cute! 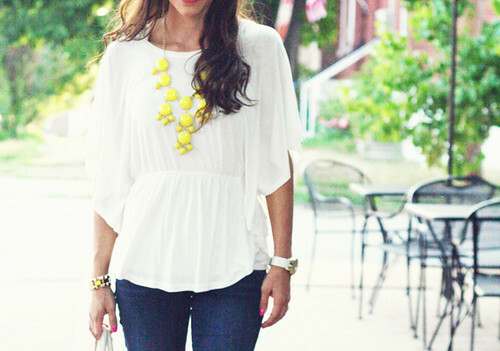 I adore the white shirt and yellow necklace...such a fun statement piece. Oh I love this! :) I love outfits that can be worn day/night! Love that necklace! I might have to get one! 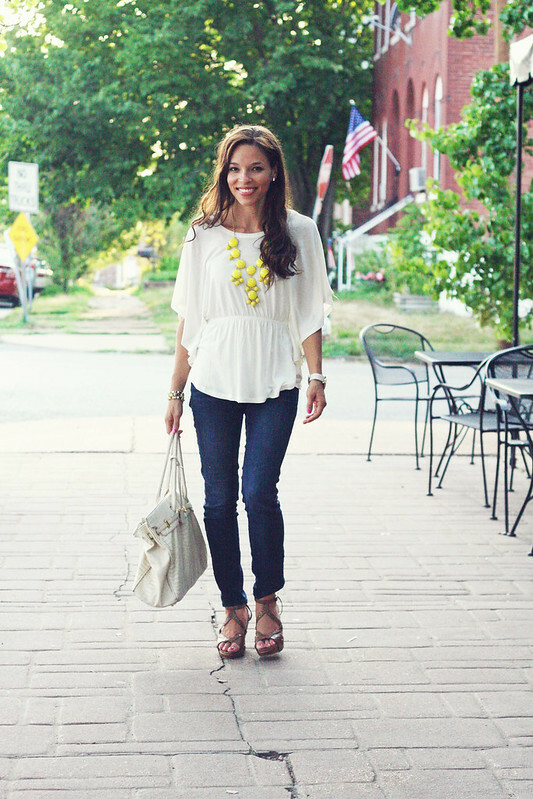 Very cute that shirt and bubble necklasce - i love easy chic! gorgeous outfit! this is something i'd totally wear myself. Love love! How did you get so beautiful girl?! Such a cute look! Loving your blouse and sandals! 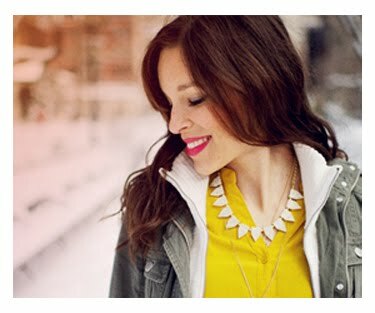 Love looks that are easy to wear from day to night. Adorable!!! Love it for day or evening. a true beauty, for sure! love this look, Anna! I have some catching up to do...can't wait to see/read what you've been up to! great outfit. it's simple but chic! just perfect. The cut of your top is so flattering. I really love this classic, timeless outfit and the neon necklace is great. You look wonderfully relaxed and natural in these photos- hope your summer continues to be so delightful. Take good care! such a pretty necklace! you look amazing anna!! I MUST get one of these necklaces! Love the top! 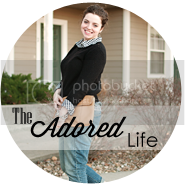 Hi Anna, I just saw this post and wanted you to know that I love this simple, yet chic outfit. 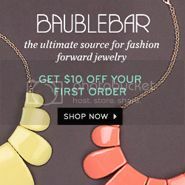 The Bauble Bar is sold out, so just where on eBay did you get that fabulous necklace?